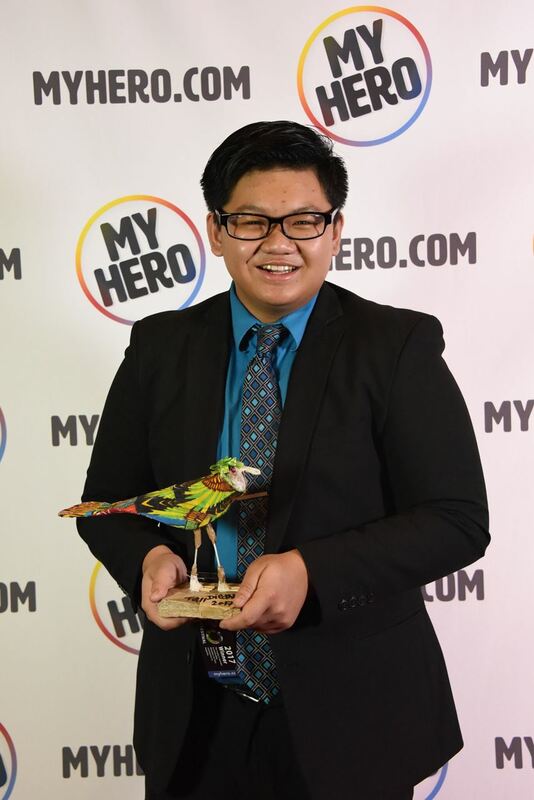 The MY HERO Project discovered Anthony’s short documentary on MARIAN WRIGHT EDELMAN and the CHILDREN’S DEFENSE FUND, created his sophomore year of high school, and encouraged him to enter our Film Festival. He did and the rest, as they say, is history. His short film won fourth place in the recent 2017 MY HERO International Film Festival in the High School category and Anthony brought his whole family from Minnesota to celebrate with us in Los Angeles. I had the pleasure of learning about this young man and, though very busy in his Junior Year at Chanhassen High School, Minnesota, he graciously did the following interview with MY HERO. Anthony with Regional Team at State History DayAnthony MengWhat made you take part in the National History Day Competition? Was it mandatory? How far did you get? At first, I took part in the National History Day Competition because it was mandatory in the curriculum for 8th graders. During 8th grade, I choose the topic of the Cambodian Genocide because it’s a very big part of my family’s history. I made a documentary and this project was the one that caused tears at Regional Competition because it didn't make it to the state level, but hey! That is okay! So, after that project, I began to find a way to try to do History Day again. My librarian at the middle school found out that the Human Geography teacher taught NHD in her curriculum. Over the summer, I relentlessly emailed my principal, Mr. Ungar, to allow me to take AP Human Geography as a Freshman. He thought it was so crazy that I was trying so hard to get into a class for seniors that he called Ms. Zanner-Rowe, the teacher of Human Geography. He asked if she was willing to take a student independently for NHD and she took me in right away. During that time, I also got 4 more students with me who wanted to do it independently and, as a result, I created and founded the History Day Independents Group. My freshman year, I took on a topic that I loved: Jazz! When I was trying to find a topic, I explored the greats, such as Count Basie and Ella Fitzgerald, but as I was digging I came across Ornette Coleman. He was the father of free jazz and it was just an amazing topic to learn about because of its complex yet interesting way to look at music. During that year, I did a documentary on him and showed a contrast between his music and the status quo. That documentary went to state and went into the final round. I took 3rd place and was an alternate to the national competition. My sophomore year was when I took on Marian Wright Edelman and the Children’s Defense Fund as my topic. Initially, I had many ideas about topics around Civil Rights, Healthcare and Poverty in America. So I came across of Lewis Hine, Clara Barton and Jacob Riis. I was in favor of Jacob Riis because I knew I wanted to do a documentary about him but I moved away from him because of the heavy use of him as a topic in the past. So, I began research government programs and came across the Children’s Defense Fund and I knew it was the right topic for me because it addressed an issue that we won’t think about daily. I made a documentary on Marian Wright Edelman’s work and fight for children’s rights in government. This documentary made it to the state level of the competition but didn’t make it to the final round. But, again! That is okay! I still have more chances to compete and learn about new topics! Children's Defense Fundchildrensdefense.org How did you decide which form to share your story? Documentary, Exhibit, Paper, Performance or Website? I decided to do a documentary all 4 years that I have competed in National History Day. The reason why I choose to do documentaries is because it seems like a form that I can have a lot of creativity while placing argumentation with it. I have considered doing a website, but documentaries have been my niche. How has this competition helped you in school and life? Would you encourage others to also participate? This competition has helped me tremendously. It has taught me so many skills that I would use throughout my life. These skills are not limited to school life but to life in general. Skills such as contextualization, argumentation and so many other skills that would help build my skill set. It teaches people, including myself, to look at history as a lesson and a tool to create a better world for the future. Besides, being a “History Buff” just means you acknowledge the lessons of the past and use those lessons to help impact the world in a better way. This competition has been the most amazing experience I have been in! I love doing this and it is one of the most fun and most geeky competitions that I have competed in. I would recommend anyone to compete because it gives the chance to explore something that otherwise may have been forgotten. It allows you to enjoy what you are doing while being creative and persuasive. Can you tell us about your process, how long it was, how you did your research? I started my research around July of 2016 and it ended by the state competition in May of 2017. It was almost a whole year of research but it was an amazing experience. I began with my local library to try and find anything on Children’s rights. Unfortunately, my local library didn’t have as many sources to start off of but I looked through a program called MNlink Gateway, a library program that allowed me to get books from many libraries around the state. Afterwards, I went to the University of Minnesota’s Wilson Library to find resources through archives and historical newspapers where I found interviews, audio recordings and many other sources. Once I got my foundational research finished, I was able to move on to specific research on Marian Wright Edelman and the Children’s Defense Fund. I started digging online in databases like Jstor and ProQuest for additional material such as governmental documents and legislation. Also, I went through the archives of the Children’s Defense Fund’s official website where they contained thousands and thousands of reports, fact sheets, images and many other sources that were beneficial for my research. Once I had enough research, I wanted to find information to gain a better perspective on the conflict between the CDF and the Clinton Presidency, so I went to the Minneapolis Central Library to research through their stacks and found government documents, books by Marian Wright Edelman herself and reports of the Children’s Defense Fund MN which was prominent in finding statistics locally. 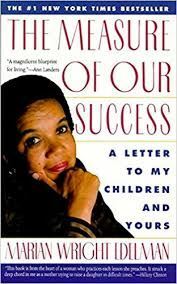 The Measure of Our Success by Marian Wright EdelmanHarper Collins Obviously Marian Wright Edelman is your hero… can you tell us why? Marian Wright Edelman is my hero because she is someone that I would like to aspire to be like. Her unwillingness to compromise with anything that would harm children and their families was one of the main reasons why she was my hero. She took a stand against an oppression not seen as much today. To take a stand in today’s world is powerful and her ability to give a voice to a group of people that is not represented in government creates a strong and bold character. To understand that risks need to be taken in order to make justice for a better future is influential and strong. 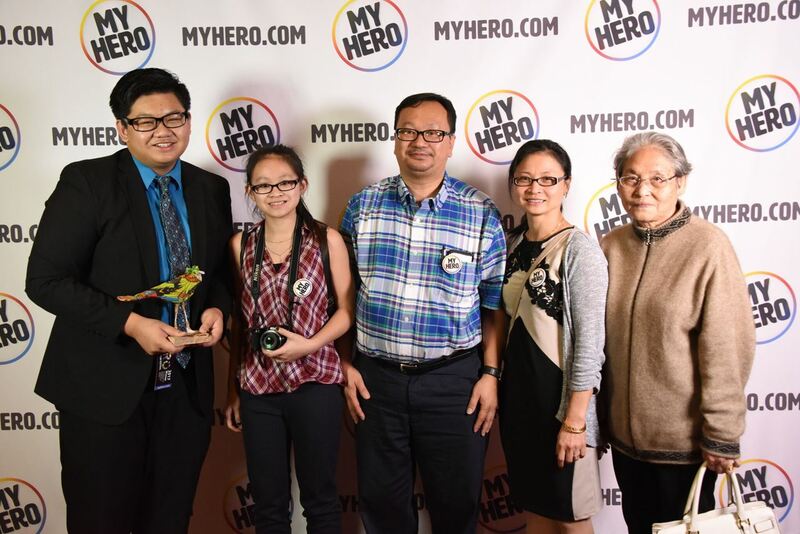 Anthony Meng with Family including his Grandmother (far right) at the MY HERO International Film Festival 2017The MY HERO Project Do you have other heroes? And why? Personally, my grandmother is my hero as well. She has been my role model since I was little. My grandmother was raised in a family where they viewed girls that received education as frivolous and not important. They believed that girls should stay at home and be the homemaker. But the thing is, my grandmother refused to be one of those homemakers and fought for her education. By her adult life, she was one of the first Cambodian female teachers and taught so many students about hard work, the history and culture of Cambodia and so many other things. Besides being the one to stand out of the group, she is one of the strongest people I know. In 1975, the Cambodian Genocide began and my grandmother was one of the survivors of this horrific genocide. The genocide had killed most of her generation including my grandfather. Afterwards, she took care of 4 kids and a baby (who was my mother) all by herself while still pushing all of them to pursue education. Education is a big value in my family because of how it engages people to know more about the world around them. My grandmother is my hero because of her strength and persistence. Thank-you Grandma for everything and I love you! What did it mean to you and your family to attend the MY HERO International Film Festival? Attending the MY HERO International Film Festival meant a ton to my family and me. It meant that hard work pays off and being a “geeky history buff” has it benefits. But overall, it was an honor to attend this festival and I’m so happy to be a part of this. What do you want to do in life? My goal in life is to be a lawyer or something that would be a part of international affairs. I want to do something that would impact the world greatly and make a better future for not only myself but for others. I want to change the world, one step at a time, and if that means I have to go through the hurdles and obstacles, so be it. I would love to explore the world, gain more perspective and acknowledge issues that need to be resolved. If you had the attention of the world for 5 minutes what would you do or say? If I had the attention of the world for 5 minutes, I would say: Realize the shared humanity we have. Learn more about each other and this vast world of diversity that we live in. Explore and understand each other by inviting someone to the dinner table and ask questions. Don’t be afraid of exploring because that is where knowledge and brilliance comes from. Always learn, work hard and be kind to others because, in the end, we can make the world a better place, one step at time, if we all work together. My hobbies include the playing piano, especially jazz piano and percussion instruments such as the marimba. Also, I love doing Speech and Debate (I don’t know if this would be a hobby but I love this activity dearly). 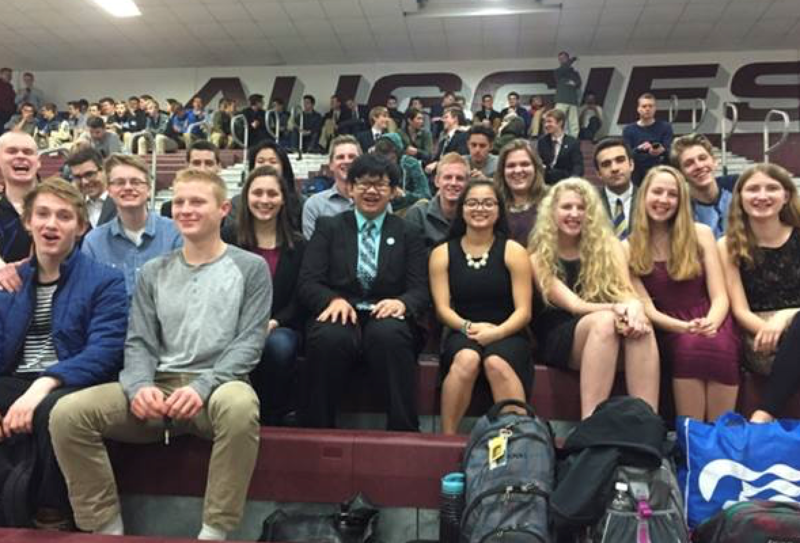 I am a part of the Speech and Debate teams at my school and I compete almost every Saturday doing something I love. Speech and Debate has been a part of my high school career since my freshman year and I don’t know where I be without it. It has been a tool to amplify my voice and I have gained so much knowledge and made so many friends from Speech and Debate. Is there anything you would like to talk about that we have not covered? Just, thank you for this amazing opportunity and I’m honored to be a part of this festival. Thank you Anthony for your wisdom and insights. We look forward to more films from you in the future, as well as discovering where your life journey takes you. Keep in touch. Short film by ANTHONY MENG about MARIAN WRIGHT EDELMAN - Children's Defense Fund - This documentary tells the story of the Children's Defense Fund and its involvement in legislative efforts toward a better future for America's kids. Marian Wright Edelman fought for the rights and protection of children in the U.S, creating opportunities for them today and in the future. 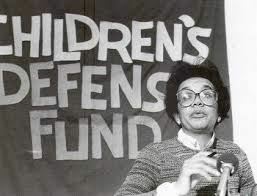 Children's Defense Fund - Check out the organization that Marian Wright Edelman started. The Children's Defense Fund (CDF) is a 501(c)(3) non-profit child advocacy organization that has worked relentlessly for more than 40 years to ensure a level playing field for all children. We champion policies and programs that lift children out of poverty; protect them from abuse and neglect; and ensure their access to health care, quality education and a moral and spiritual foundation. Hear Marian Wright Edelman speak to teachers and parents - Teachers and parents working together can change the odds for children. That's what Marian Wright Edelman said to the National Parent Teacher Association. This month the national PTA is highlighting the challenges facing Black children in America as part of its Every Child in Focus Campaign. MNLink - Check out one of the resources Anthony used when researching for NATIONAL HISTORY DAY. MNLink: Your connection to library books, articles, movies, images, music, and more! Wilson Library, University of Minnesota - Welcome to Wilson Library, home of collections about the arts, humanities, social sciences, and many other special collections.The library has wireless access throughout the building, plenty of room to study, and a coffee shop on the basement level.